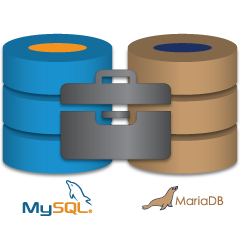 Unlike standard MySQL server and MySQL Cluster, the way to start a MySQL/MariaDB Galera Cluster is a bit different. Galera requires you to start a node in a cluster as a reference point, before the remaining nodes are able to join and form the cluster. This process is known as cluster bootstrap. Bootstrapping is an initial step to introduce a database node as primary component, before others see it as a reference point to sync up data. When Galera starts with the bootstrap command on a node, that particular node will reach Primary state (check the value of wsrep_cluster_status). The remaining nodes will just require a normal start command and they will automatically look for existing Primary Component (PC) in the cluster and join to form a cluster. Data synchronization then happens through either incremental state transfer (IST) or snapshot state transfer (SST) between the joiner and the donor. So basically, you should only bootstrap the cluster if you want to start a new cluster or when no other nodes in the cluster is in PRIMARY state. Care should be taken when choosing the action to take, or else you might end up with split clusters or loss of data. Once done, start the new node. Bootstrap the most advanced node using “pc.bootstrap=1”. Restart the remaining nodes, one node at a time. Start the new node, one node at a time. Start the remaining nodes, one node at a time. How to start Galera cluster? The above command is just a wrapper and what it actually does is to start the MySQL instance on that node with gcomm:// as the wsrep_cluster_address variable. You can also manually define the variables inside my.cnf and run the standard start/restart command. However, do not forget to change wsrep_cluster_address back again to contain the addresses to all nodes after the start. The new node connects to the cluster members as defined by the wsrep_cluster_address parameter. It will now automatically retrieve the cluster map and connect to the rest of the nodes and form a cluster. Warning: Never bootstrap when you want to reconnect a node to an existing cluster, and NEVER run bootstrap on more than one node. Galera starting with version 3.19 comes with a new flag called “safe_to_bootstrap” inside grastate.dat. This flag facilitates the decision and prevent unsafe choices by keeping track of the order in which nodes are being shut down. The node that was shut down last will be marked as “Safe-to-Bootstrap”. All the other nodes will be marked as unsafe to bootstrap from. “It may not be safe to bootstrap the cluster from this node. It was not the last one to leave the cluster and may not contain all the updates. You can then perform the standard bootstrap command on the chosen node. What if the nodes have diverged? In certain circumstances, nodes can have diverged from each other. The state of all nodes might turn into Non-Primary due to network split between nodes, cluster crash, or if Galera hit an exception when determining the Primary Component. You will then need to select a node and promote it to be a Primary Component. The remaining nodes will then reconnect to the Primary Component (node2) and resync their data based on this node.